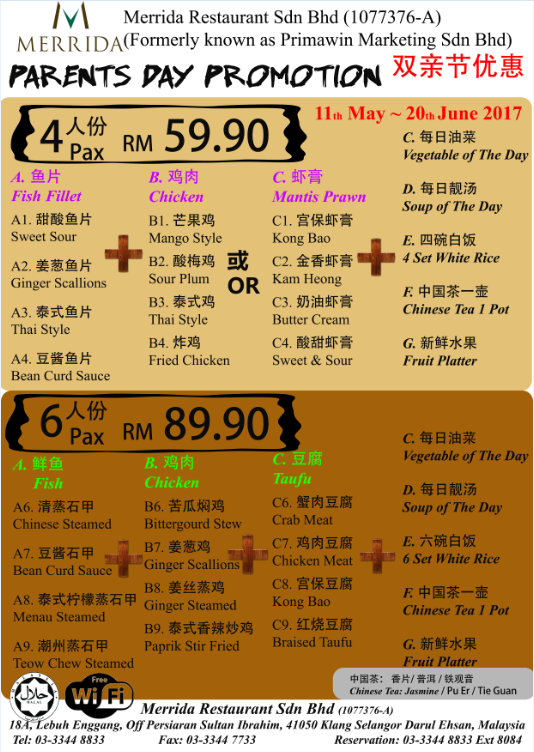 Merrida Restaurant Specially prepared wonderful Menu for your satisfaction and Joy with your parent.Get a meal of four person as low as RM 59.90 Nett. Booking in advance is encourages. Address: 18A, Lebuh Enggang, Off Persiaran Sultan Ibrahim 41050 Klang Selangor Darul Ehsan, Malaysia. Social media mostly use for promotion if you are doing to promote parents day then I suggest you to go with social media.I know many high authority blogs like essay writing services reviews they also use social media to promote their things.This is the easiest way of promoting.